There is so much to write about it’s hard to know where to begin, but because my life and calling is centered here in Israel I will begin here. A few years ago I began saying that Barack Hussein Obama is the worst and most evil thing that has ever happened to the USA and the world at large. The criticism came at me from around the world. Well let me say this again; Obama is evil, he is a liar, a deceiver and the truth is not in him. He not only has an agenda to destroy Israel but the USA as well and he is well on his way to accomplishing both. In the past week Obama and Kerry have agreed to accept the new PA/Hamas Government here in Israel. The fact that they are both terrorist organizations means little to nothing to them. Kerry has tried several times to get all of Europe to boycott Israel, and has openly tried to incite a third Intifada. To add insult to injury Obama sent Susan Rice to Israel as his representative. 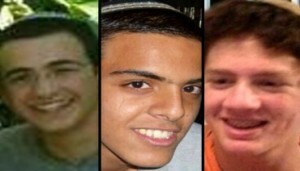 Today all of Israel is praying and searching for three of our young teenage boys who have been kidnapped. The largest IDF search in Israel that I’ve seen carried out is now taking place in the Hebron area. For fear that if they are able to move them to Gaza as hostages things could become even worse. Our worst fear is that they have already tortured and murdered them – as they usually do. Their only crime is they are Jewish. In the meantime Obama is working daily to establish a friendship between the US and Iran whose leaders have sworn to destroy both the US and Israel with their nukes. 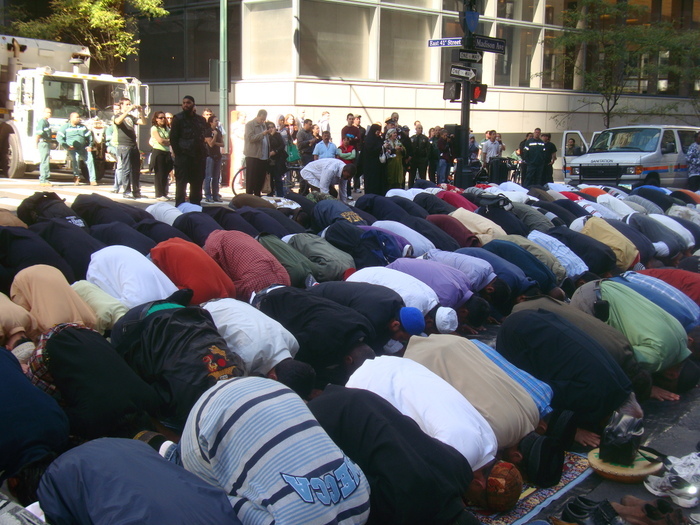 While Muslim Islamic terrorists kill thousands in Syria and Iraq – beheading and torturing the general population in order to bring about there Sharia Law – Obama sent them hundreds of millions of America’s tax dollars. When the Muslim Brotherhood was in power in Egypt he sent millions to support their Islamic state. When they were removed from power he stopped supporting Egypt. 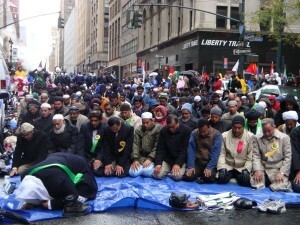 Today in the USA the Muslims are moving very quickly. Not only in Detroit and Dearborn Michigan – but throughout the west and south thousands of mosques are springing up. In NYC the mosques are overflowing into the streets. 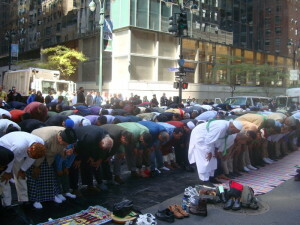 Every Friday this is what you can see in NYC. “Political Correctness” and “Tolerance” will bring about the total destruction of the USA and all it stands for. Israel is the Apple of God’s Eye, He loves Israel and the Jewish people, but there is no doubt that He has blessed the USA in great and wonderful ways. There is also no doubt that the blessing has fallen off of America and that Obama is the messenger of the devil himself. God cannot lie and He will bring the Jews back home to Israel, and He has called this, and other ministries, to prepare for the second regathering that is about to happen. Isa. 11:11 And it shall come to pass in that day, that the Lord shall set his hand again the second time to recover the remnant of his people, which shall be left, from Assyria, and from Egypt, and from Pathros, and from Cush, and from Elam, and from Shinar, and from Hamath, and from the islands of the sea. God has put together a small handful of believers to support this ministry and with this “Gideon” few He will save many Jewish lives and bring them home. Gen. 12:3 And I will bless them that bless thee, and curse him that curseth thee: and in thee shall all families of the earth be blessed. There has never been a time when your support is needed more than right now. Pray and ask God what He would have you do, and when He gives you a number – please be obedient. Much depends on it. Not only to this ministry but to you as well. Ask others that you know and trust to join us by subscribing and supporting.